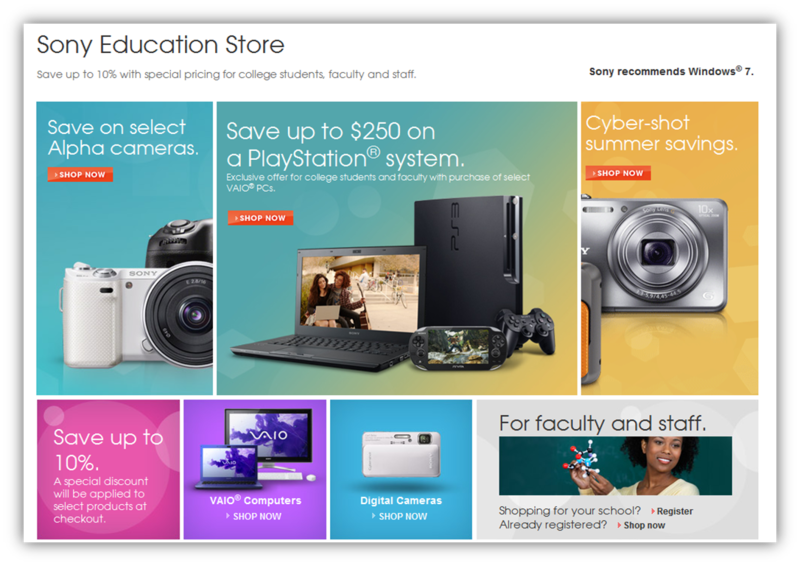 Overview: redesign and optimization of the Sony Online Education Store landing page, where students and faculty can browse special deals. Channels: Sony direct retail; desktop landing page redesign. Project Role: project lead working directly with Web Analytics team to identify opportunities to improve revenue-per-visit (RPV) and revenue-per-click (RPC); wrote project brief for web design team and selected and ran a 6-week test on the new design layout. Results: increase in RPV and RPC as a result of reorganization and design of product category offerings better aligned to the seasonality of student and faculty product purchases.